Coordinate Plane Probability Standard Students must know coordinate plane. Ex. P(point has x value less than -3). Combinations 1 Standard Combination word problems. Combinations 2 Riddle Combination notation problems. 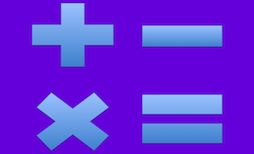 Factorials Standard Basic factorial operations. Permutations 1 Riddle Permutation word problems. Mean Riddle Students will find mean of 3 to 5 whole numbers. Measures of Central Tendency 1 Standard Mean, median, mode and range. 8 data sets. Probability Dependent Events 1 Standard 12 word problems. Probability Dependent Events Cards Standard Probability of choosing two or three cards from standard deck. Probability of Independent Events 1 Riddle Probability of two independent events. Probability of Independent Events Spinner Standard Three sections of 3 different spinners.